It’s hard to believe that in the developed world in this day and age that you can walk into a hospital for surgery and come out dead, your body overwhelmed by lifeforms that you can’t see without a microscope. In the antibiotic age, that’s just not supposed to happen, right? But it happens all the time. Antibiotic resistance is evolution in action. As McKenna notes, even Alexander Fleming, the father of the antibiotic age, feared that bacteria would come to resist his beloved penicillin. And because the ways we’ve misused and overused antibiotics over the mere 70 years they’ve been available to us, they’ve become almost useless in some cases. Others have covered the issue of resistance much more eloquently than I. But what I thought I might do is, as with the glossary of fats, compile a list of what antibiotics are available to us today, what forms of resistance bacteria have evolved in response to them, and what we can and are doing to stop them. Aminoglycosides (neomycin, amikacin). Inhibit protein synthesis. Beta-lactams. An antibiotic superfamily that includes the penicillins, cephalosporins, monobactams, and carbapenams. All of them contain what chemists call a beta-lactam ring made from three carbon atoms, a nitrogen atom, and an oxygen atom in their molecular structure. They generally block cell wall construction by keeping the bacteria from making a complex, interwoven layer of peptides and sugars called peptidoglycan. Carbapenems (imipenem). Block cell wall construction. They’re considered drugs of last-resort. Cephalosporins (cefotaxime, cefalexin). Block cell wall construction. Glycopeptides (vancomycin). Same as cephalospoins. Lincosamides (clindamycin). Stop protein synthesis. Lipopeptides (daptomycin). This one is unique. It pokes holes in the bacterial cell membrane, allowing ions inside the cell to leak out. That messes with the cell’s electrochemistry and keeps it from producing protein or synthesizing new DNA or RNA. Macrolides (erythromycin, azithromycin). Stop protein synthesis. Monobactams (aztreonam). Block cell wall construction. Nitrofurans (furazolidone). May cause segments of bacterial DNA to stick together, or crosslink. Oxazolidonones (linezolid). Stop protein synthesis. 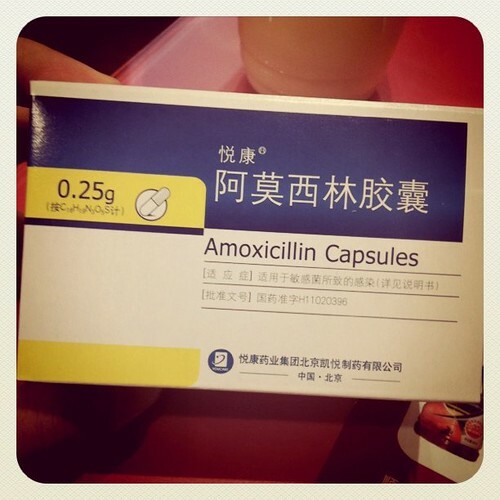 Penicillins (penicillin methicillin, amoxicillin). The granddaddy of the antibiotics. Block cell wall production. Polypeptides (bacitracin, colistin, polymyxin B). Either block cell wall production (bacitracin) or interfere with the bacterial cell membrane. Doctors are increasingly turning to colistin, an older antibiotic, to treat infections by bacteria resistant to multiple other antibiotics, despite its severe side effects. Quinolones (ciprofloxacin). Prevent DNA replication and transcription. Sulfonamides (trimethoprim-sulfamethoxazole). These drugs keep bacteria from synthesizing folate (one of the B vitamins), which keeps them from producing the nucleic acid building blocks of DNA and RNA. Tetracyclines (tetracycline, doxycycline). Stop protein synthesis. What’s amazing is that many antibiotics are derived from microbes themselves. Penicillin was famously discovered in a penicillium mold that had contaminated one of Alexander Fleming’s petri dishes; vancomycin was first isolated from soil bacteria. They’re like the chemical weapons of the microbial world, giving the microbes that produce them a competitive edge or means of defense against others. All of these mechanisms stem from genes, either changes in existing ones or evolution of new ones. And bacteria have this nasty habit (nasty for us, great for them) of passing resistance genes directly between each other, even between different species. 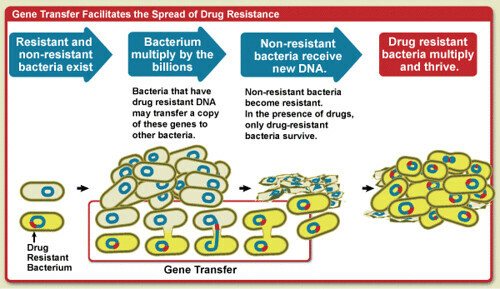 This is why the same resistance mechanism is often shared among multiple species of bacteria. Beta-lactamase. 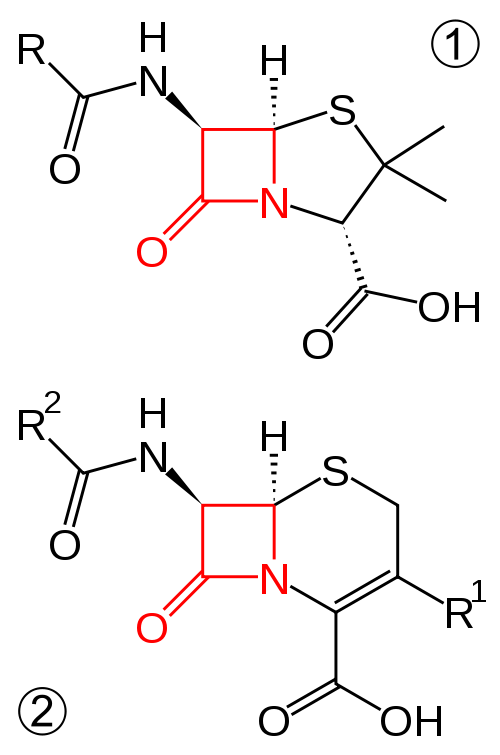 A class of enzymes that cut up antibiotics with beta-lactam rings. A lot of different bacterial species have either evolved their own beta-lactamases or obtained them from other species. CRE (carbapenem-resistant Enterobacteriaceae). As I mentioned above, these are the CDC’s nightmare bacteria. (CDC administrators aren’t typically given to hyperbole. If they’re using language like that, it has to be bad.) The Enterobacteriaceae — also called enterobacteria (because many of them are found in the gut) — are a large family that includes bugs with melodious names like Escherichia coli, Klebsiella pneumoniae, and Salmonella enterica. So far CREs have only been found in patients who are already sick and in a hospital setting like an intensive care unit or long-term care ward. Some of the CREs are resistant to pretty much everything in our antibiotic arsenal. KPC (Klebsiella pneumoniae carbapenemase). An enzyme that breaks down carbapenem-family antibiotics, one of the two mechanisms by which CREs resist the carbapenems. MDR-TB (mulitdrug-resistant tuberculosis). Refers to strains of the tuberculosis bacterium, Mycobacterium tuberculosis, that are resistant to at least the two most potent anti-TB drugs, isoniazid and rifampin. Drug-resistant TB arose largely because many TB patients historically did not complete the long regimen of drug treatment for the disease. MRSA (methicillin-resistant Staphylococcus aureus). 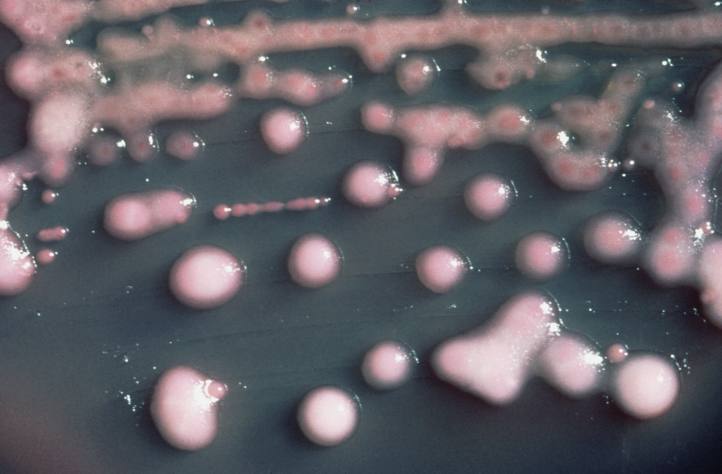 Strains of staph bacteria that are resistant to the beta-lactams. In the general population they most often show up as skin infections, while in hospitals and other healthcare settings they can appear throughout the body. People can be infected or colonized with MRSA; if you’re colonized you carry it around with you but show no symptoms. 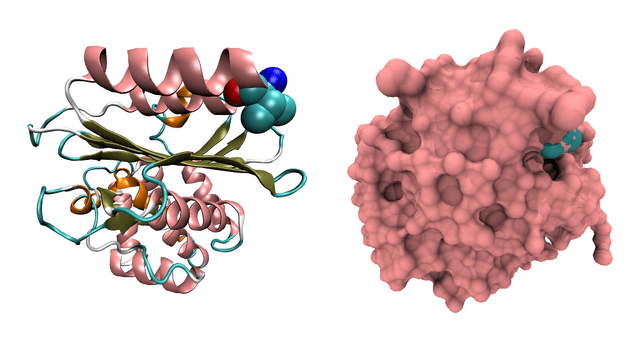 NDM-1 (New Delhi metallo-beta-lactamase-1). The other known carbapenem-destroying enzyme. It was first found in 2009 in a patient in Sweden who was infected with drug-resistant E. coli and Klebsiella pneumoniae at the same time. VISA (vancomycin intermediate Staphylococcus aureus) and VRSA (vancomycin-resistant Staphylococcus aureus). Two types of staph bacteria that resist the antibiotic vancomycin, though they are usually sensitive to other antibiotics. The difference between the two lies in the amount of vancomycin it takes to kill them in laboratory tests. VRE (vancomycin-resistant enterococci). Bacteria normally found in the gut that have become resistant to vancomycin and usually other drugs as well. As with MRSA, people can be colonized or infected. Usually found in healthcare settings like hospitals. XDR-TB (extensively drug-resistant TB). Tuberculosis that is resistant to nearly every drug available for TB, including isonizaid and rifampin. Because doctors have to turn to drugs that aren’t as effective against TB in order to treat it, patients fare much worse. It’s a rare sub-form of MDR-TB, but is growing more common. You may have noticed a common thread among many of the resistant bugs I noted above: they’re mostly found in hospitals. If someone is in an ICU or a burn unit, or are in the hospital for long periods of time are really sick, their immune system tends to be really low. The often have IV lines and catheters in them for long periods of time; those provide bacteria with great surfaces for growth and entry points straight into the body. Better infection control in hospitals and other medical facilities. Doctors and nurses are trying to keep up with patients colonized or infected with , but they have to do better. Quicker testing, tighter isolation of infected patients, more effective room and equipment cleaning, more stringent hand-washing and use of barrier methods (e.g., gowns, masks, gloves, face shields), faster and more comprehensive sharing of information about the colonized and the infected…these things work. As McKenna points out in her Nature piece (scroll down to “Rising Spread”), it’s how Israel squelched a mounting KPC epidemic. Cut back on antibiotic use in agriculture. Healthier animals are plumper animals, and plumper animals can be sold at higher prices. That’s the main reasoning why many farms — and many agribusinesses — routinely give antibiotics to the animals they raise, even though they’re not sick. Which turns those animals into factories for antibiotic resistance. 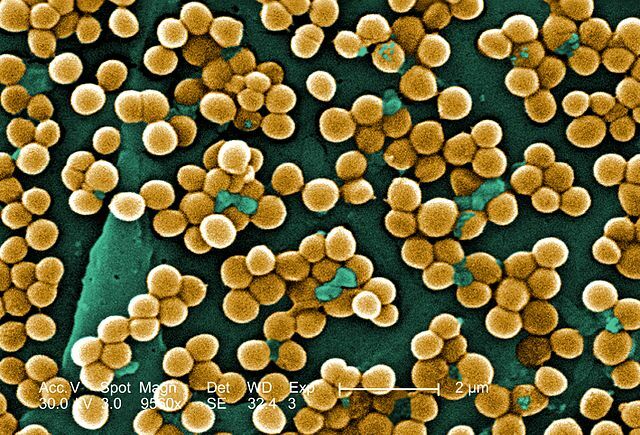 A molecule called anthracimycin harvested from bacteria that live in mud along the California coastline might be the first wholly new antibiotic in a long time — it attacks MRSA and anthrax. A drug originally developed as a fungicide might work against CREs. A new synthetic compound might fight drug-resistant TB by starving it. Viruses called phages that attack bacteria could be turned into “living” antibiotics. And silver could help make antibiotics thousands of times more effective, even against resistant bacteria. The main problem in antibiotic research, however, is that most pharmaceutical companies have stopped working on antibiotics — they’re not lucrative enough. Only use ’em if you really need ’em. This is where you come in. Colds and the flu are viral illnesses, not bacterial, and so antibiotics hold no power over them. If you’re prescribed antibiotics, make sure you take all of the pills as prescribed. Don’t stop taking them when you feel better; that just means that you’ve reduced the infection to the point where it’s not causing symptoms anymore, and you’re giving any bacteria left that might have been mildly resistant a chance to grow — you’re driving evolution. The CDC has a lot of info on proper antibiotic use on their Get Smart website. So start resisting!